GVWR = 5 Ton, Max load = 7620 lbs. GVWR = 14,000lbs., Max Load = 11,470lbs. 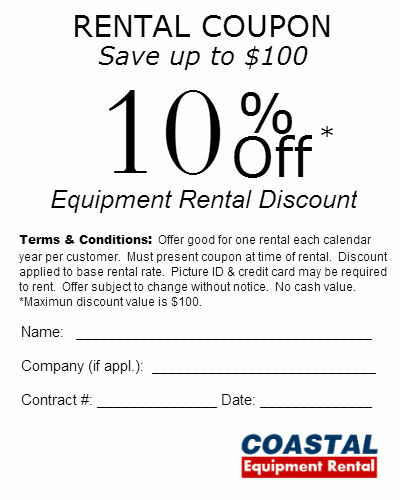 * Please call us with any questions about our trailer w/rental 16 foot equipment rentals in Santa Rosa Beach FL, serving the South Walton area.